It's probably no secret that I love using decor that is of course, beautiful, but also functional . . . or multi-functional even! My favorite way to spruce up a space is to use textiles, and scarves are probably the most multi-functional items you can use! They are the perfect accessory for fashion and home! I often use them to add interest, contrast or even texture to a space, and the best part is, you don't have to break the bank, as they are items you probably already own. This week for #FabFallFest, we asked friends to share how they use pillows and throws in their fall decor. So today I'm going to show you how I use scarves as throw blankets (and more) in my home decor, as well as provide you with my favorite sources to shop for them! This post contains affiliate links for your convenience. Should you click on them and make a purchase, I will receive a small commission at no cost to you. Here I used a blanket scarf as . . . well, a BLANKET, to cozy up this living room corner. This "throw" at the end of my bed is also a scarf, I couldn't resist the colors and print, as it went perfectly with my bedroom decor. 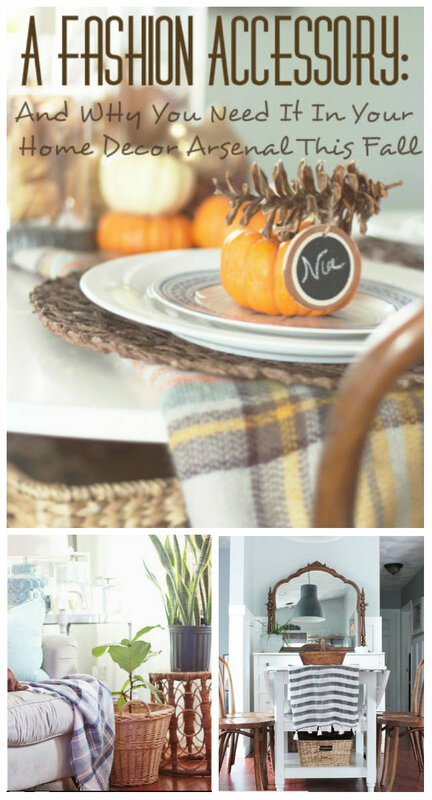 Here are three different ways to make a scarf work as a table runner or tablecloth! I even use scarves to fill bakets, the black and white stripe works wonders to create contrast in space. 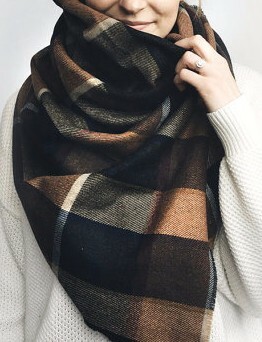 I love this scarf and actually own two, one of which I plan to make into a pillow for this fall/winter :) Charlotte Russe often has a nice variety of blanket scarves and they are typically less than $15 and bogo! 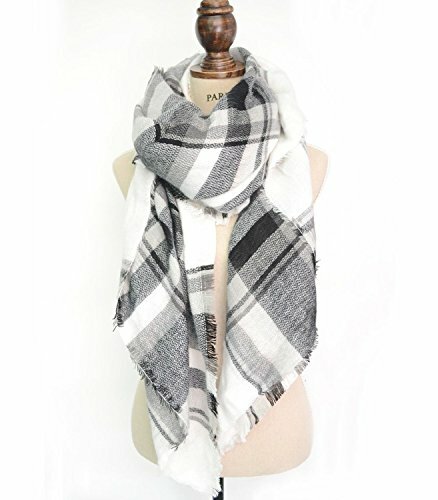 The black and white scarf is from last season and is currently on clearance! 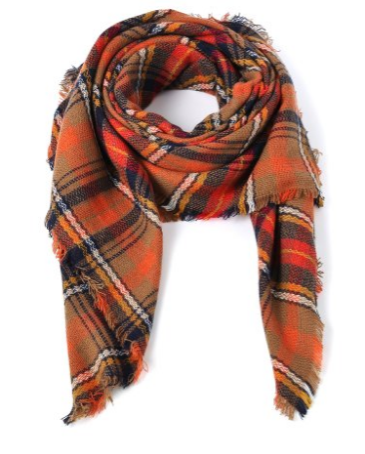 Ebay probably has the largest selection for inexpensive scarves, however, these items are usually coming from out of the country so delivery times isn't as fast as the alternative options. The #9 scarf is the scarf used in the main image of this post. While target is a little pricier for my liking, they also have a nice selection of blanket scarves to use as accessories for fashion and home decor! Amazon has a great selection as well. I like to do a little comparison shopping, as there are a lot of sellers with the same merchandise, but different pricing. So what do you think? 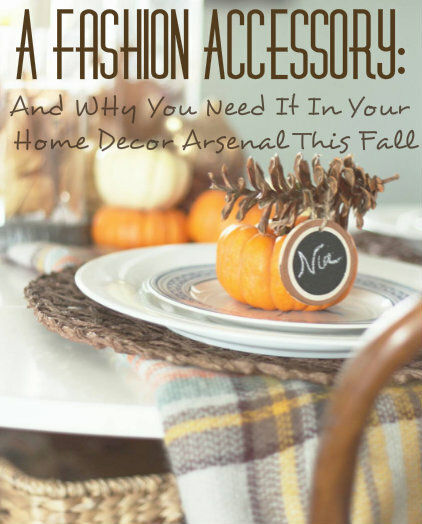 Do you make use of fashion accessories in your home decor? Which scarf here is your favorite? Awesome ideas! you rock like im so serious! This is definitely best accessory for Fall. Look at how fashionable it is! Thanks a lots for sharing, Carli. Great post as usual. Awww thanks Jennifer, I don't even know what I did before blanket scarves were invented!! They're so versatile! I will be headed to many of these stores for scarfs. Thanks Carli! Yes, definitely a must have!